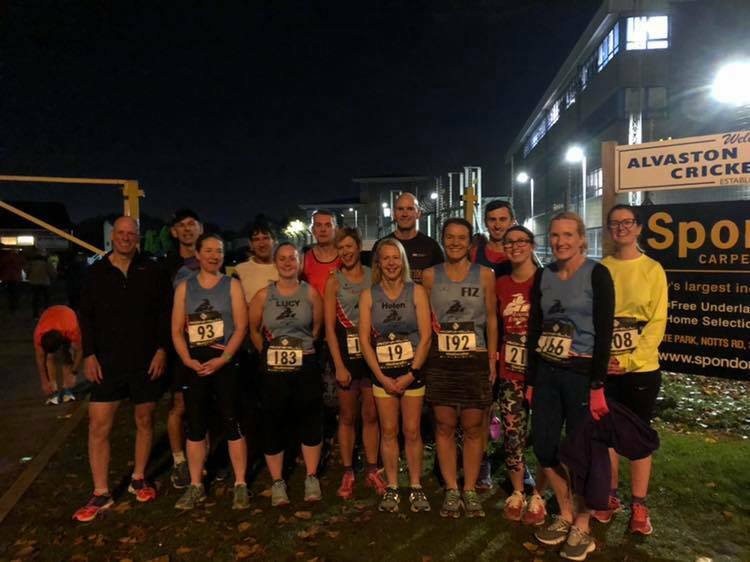 The Derby Midweek 5k and 1 mile races were popular this week as 14 runners came to chase some faster times. In the 5k, Mark Parker was first over the line for the club in a swift 17:50 and 11th overall. Richard Martin came in at 15th overall at 18:25, followed by Andrew Stanley in 19:43. Mark Bradford was next with 20:20, while Chris Trzcinski took a new PB with 21:11, ahead of Andy Lindley in 21:54. Fiona Betts celebrated both a birthday and a new PB with a strong 21:55 ahead of the rest of the ladies, Andrea Trickett (22:09), Karen Bell (22:38), Emily Partridge (23:19), Julie Taylor(23:39), Helen Finn (25:48), Lucy Allsop (26:09) and finishing on a new PB, Helen Brandon in a fabulous 28:58. Andrew Stanley headed up the 1 mile race with a speedy 5:56, followed by Mark Parker in 6:51. In Consecutive places, Andrea Trickett, Fiona Betts and Andy Lindley all managed sub 7 minute miles. Julie Taylor clocked 7:51, Emily Partridge 8:10, then Lucy Allsop in 8:20. Both Helens, Brandon and Finn crossed the line in 8:21, marking some great efforts in this race.